Amazing horse property on almost 2 level acres. Property has a 30x40 metal insulated shop plumbed for a future bathroom including 50 amp power and an additional 15x45 attached covered RV parking site. There is a 150'x300' roping arena, Hay barn, 2 large horse shelters and multiple stalls with water and feeders. The 3 bedroom, 2 bath home has been immaculately maintained and features french doors that open to a large 16x40 deck. 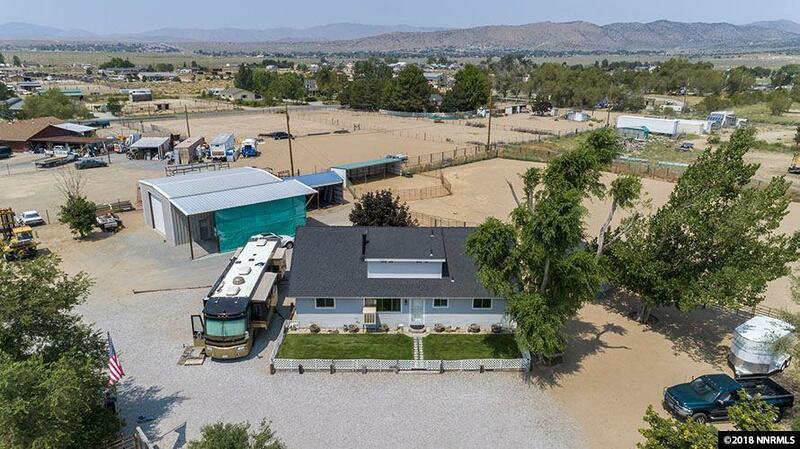 This home is turn key and ready for you and your horses!